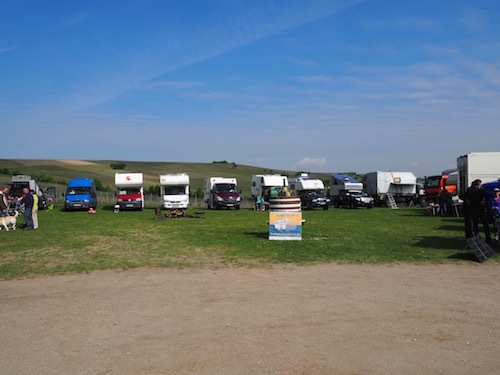 We don't have pictures available of all our trips. 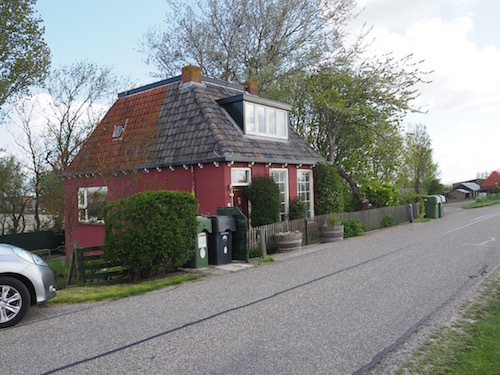 March 21st we drove to Best (Netherlands) to celebrate our friend Simon's birthday. Halfway we slept in Dülmen. 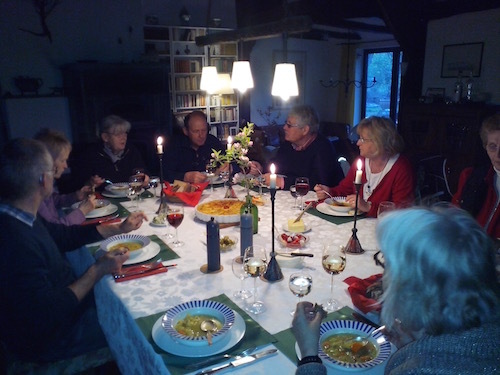 March 30th we attended the memorial meeting for Sylvia's cousin Gerd in Kronberg im Taunus. 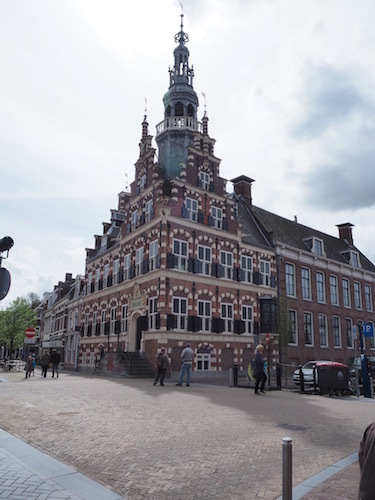 Because the meeting started rather early, we decided to sleep in Lich, so we only had to drive a short distance on the day itself. 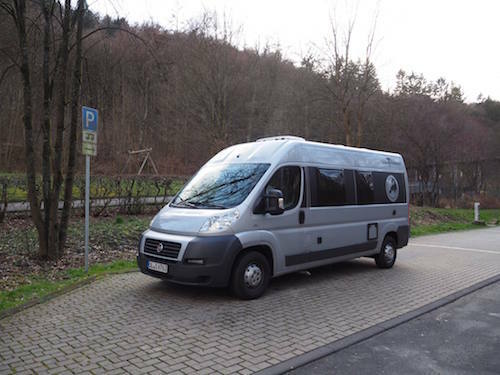 On the way back we slept in Siegen. 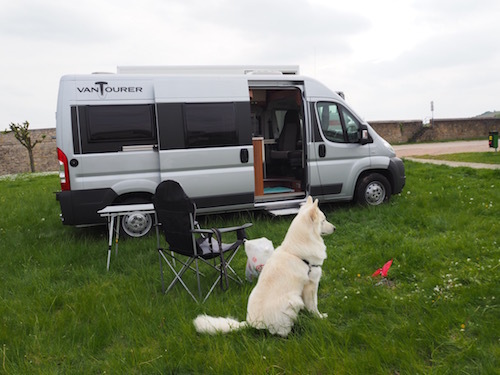 During our way back a heavy storm lashed Europe. 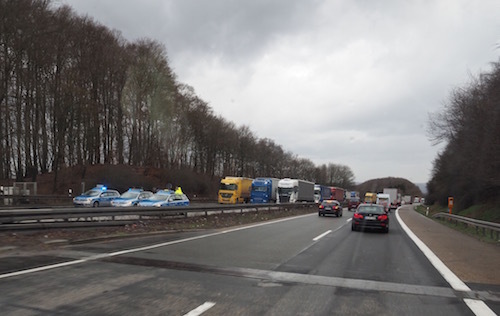 Trucks were blown over all over Germany. 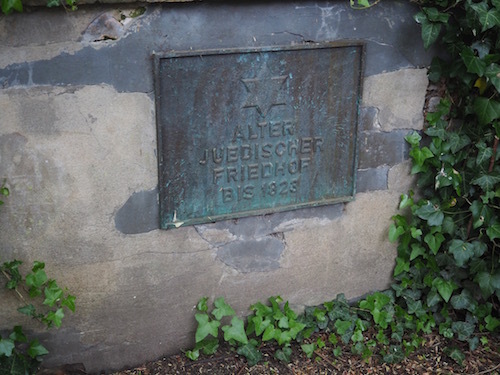 One of them on a motorway bridge near Siegen. 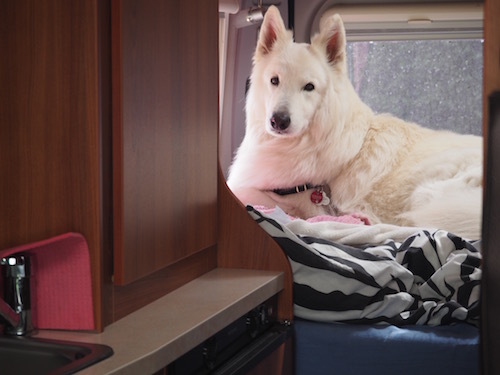 Good for a few dozen miles of traffic jam. 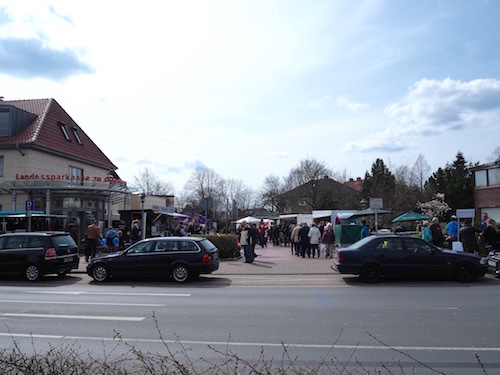 April 12th the town of Wardenburg celebrated a "spring market". 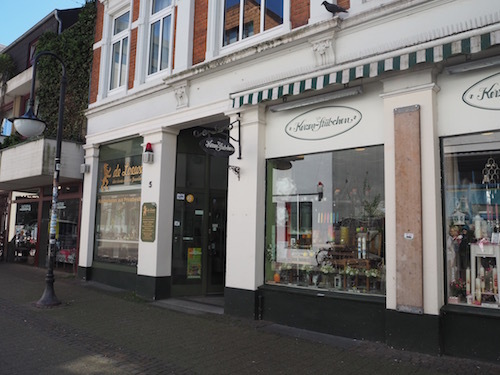 Shops were open and in many stalls one could buy almost everything. 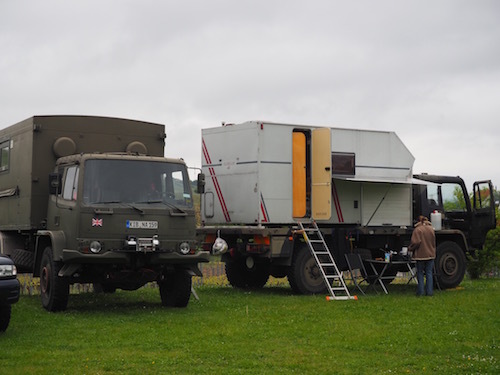 The local veterans' club showed some nice VW motor homes in mint condition. 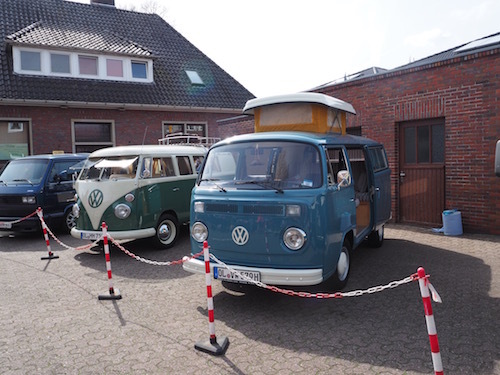 Because Sylvia had a training in the Oldenburg region, I drove "Little One" with Motek to a reunion of my school class of 1959 in The Hague (Nutsschool Zorgvliet). 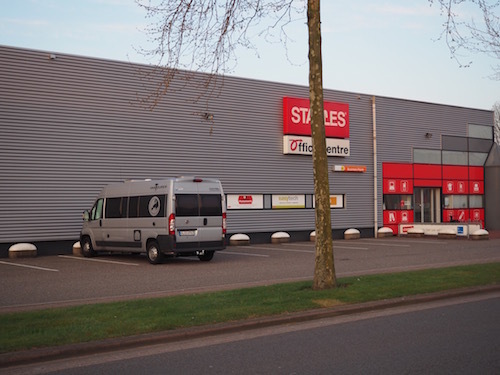 On the way back I slept in Apeldoorn to be able to pick up an order, first thing in the morning at Staples. 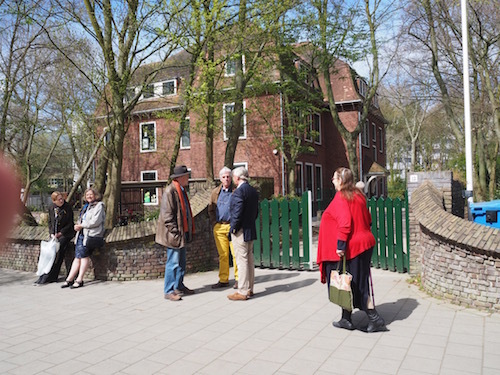 April 23rd Judith got her PhD at Utrecht University. For us this meant a 2-day excursion. 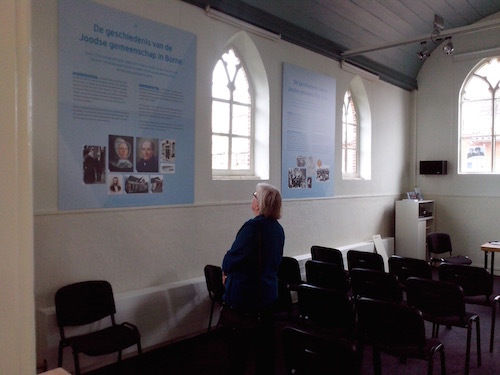 Close to the Dutch-German border we stopped to see an exhibition in the small synagogue of Borne. 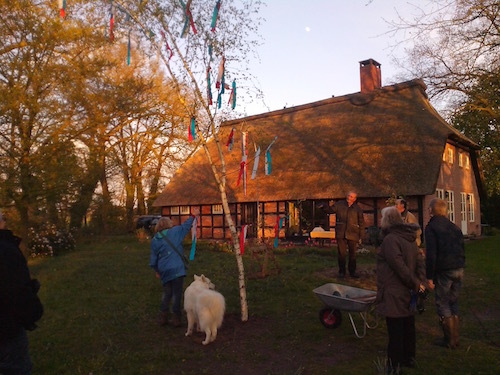 On May Day's Eve we helped planting the May pole at our neigbours' place. Following the regional tradition the planting was surrounded with drinks and ended with a great meal. 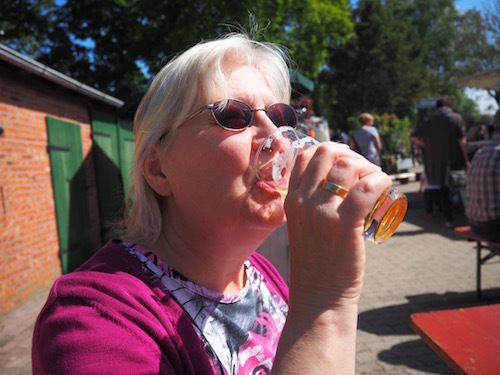 On May 1st we drove to Bodenheim. 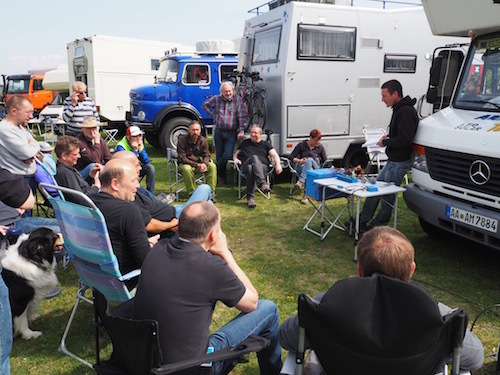 There we attended the annual meeting of DIY motor homes. Our 8th time. Some participants give a presentation about their product or their special skills. 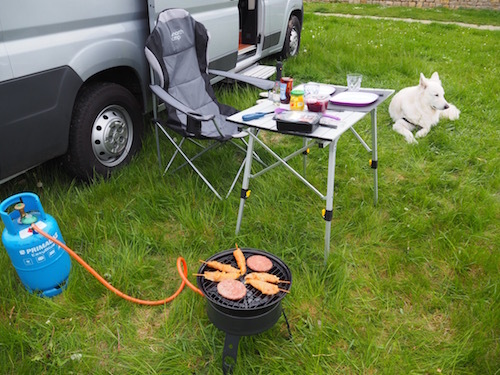 Our little propane BBQ proves itself very useful. 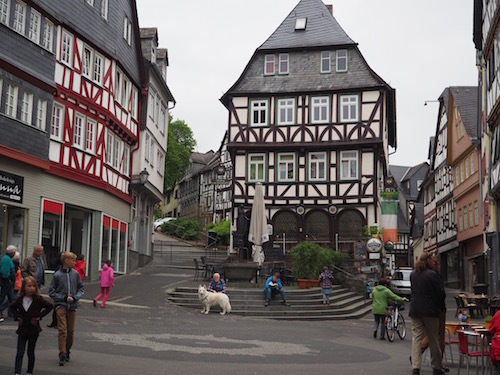 From Bodenheim we drive to Wetzlar, home town of Buderus, Leica, Minox and Zeiss. 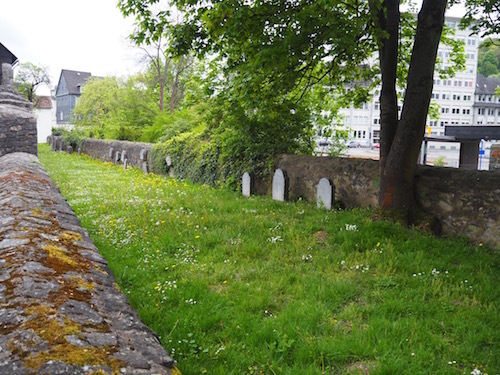 The Jewish cemetery is situated along the old city wall. 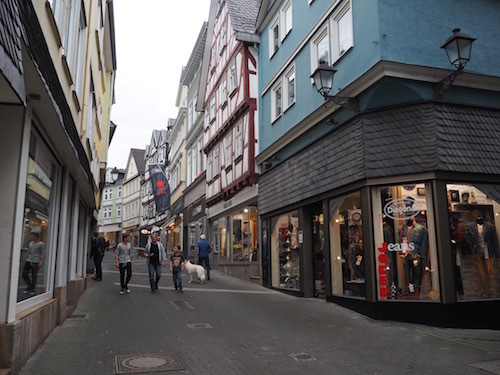 Our next stop is in Iserlohn. 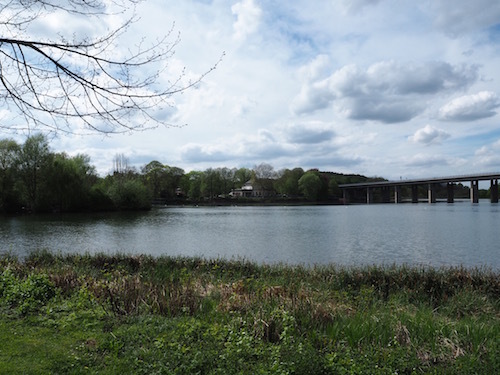 This reservoir contains fresh water for the sewage treatment plant of Iserlohn (North Rhine-Westphalia). Constructed in 1914! 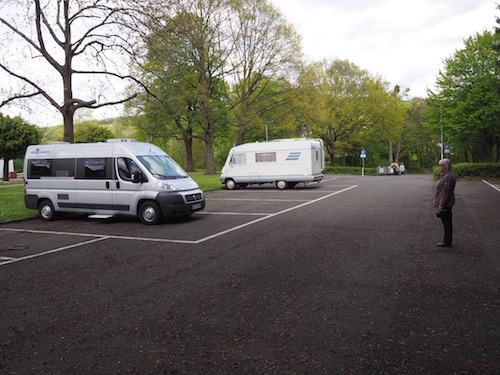 Warendorf, too, offers an overnight parking for motorhomes. 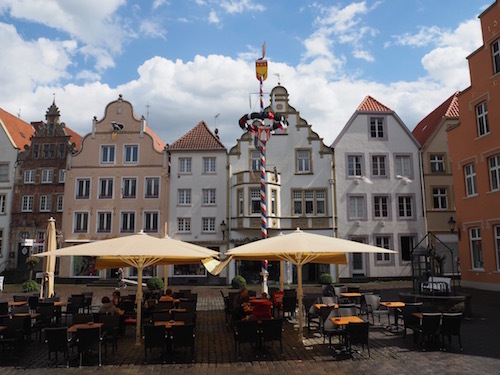 Warendorf is well-known for horse-riding. 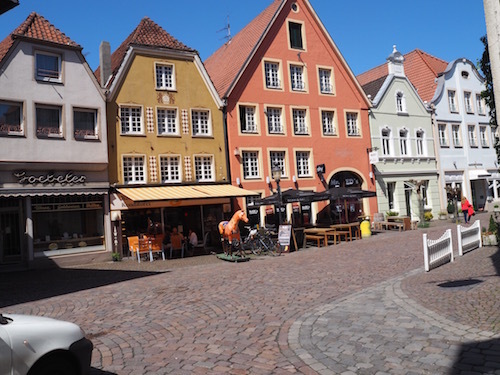 You can find several horses in its well-preserved medieval town centre. 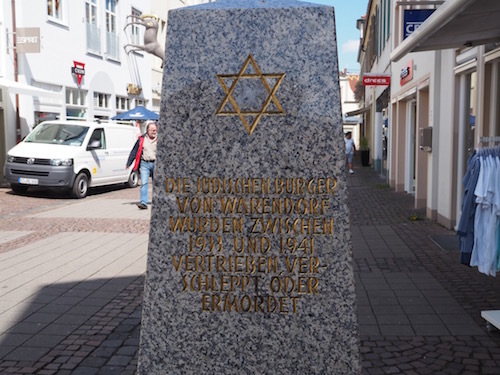 Monument for the Jewish population of Warendorf. Most of them were deported to Riga and killed. Here, too, a May pole. 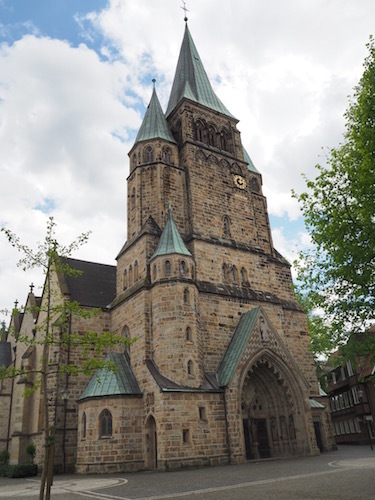 St. Laurentius church (15th century). 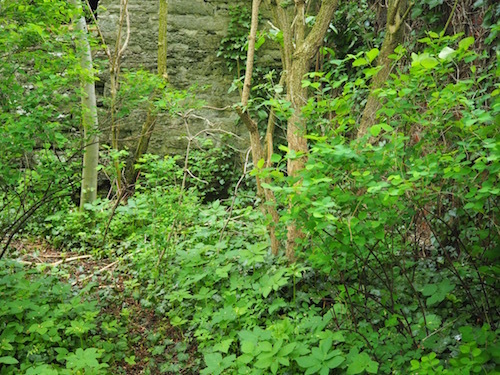 The towers are built in 1913/1914. 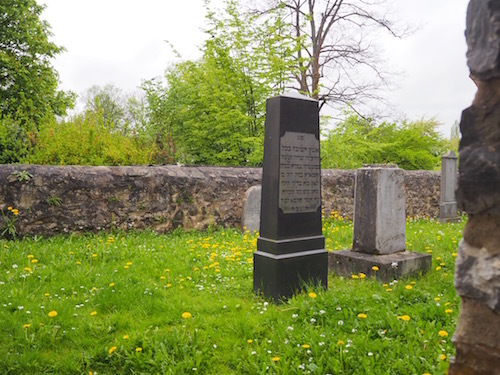 Of the old Jewish cemetery nothing is visible. 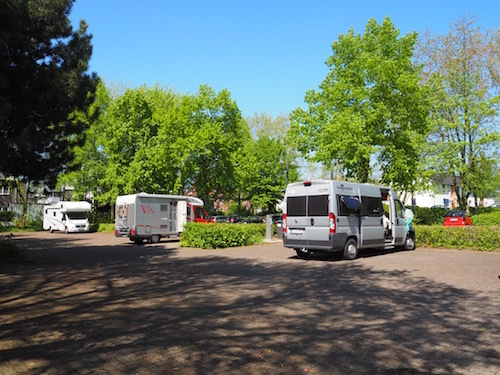 Next stop: "Varusschlacht", the site where the Battle of the Teutoburg Forest was fought. 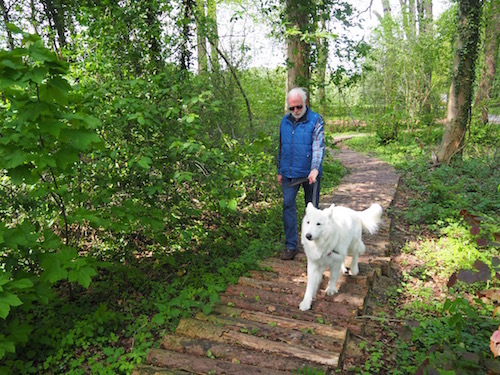 Motek walks the (replica of the) wooden Roman road as if he never does otherwise. 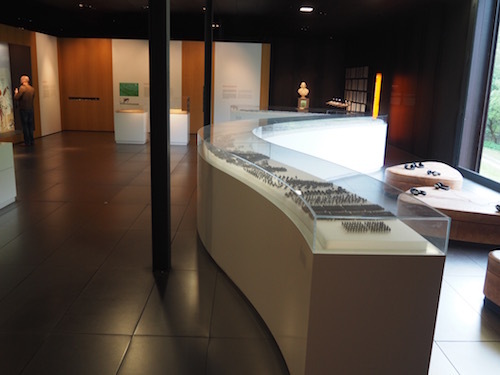 In the museum one gets an impression how the ill-organised Gemanic tribes succeeded in destroying three well-trained Roman legions. 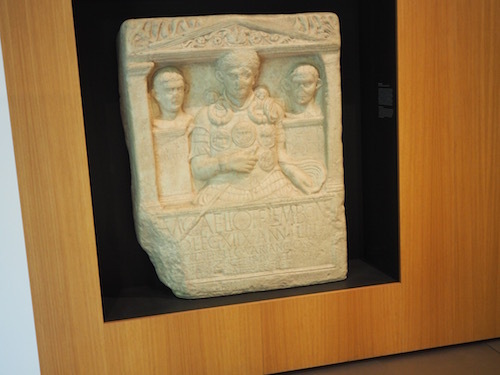 Cenotaph of Marcus Caelius, 1st centurion of XVIII, who "fell in the war of Varus". 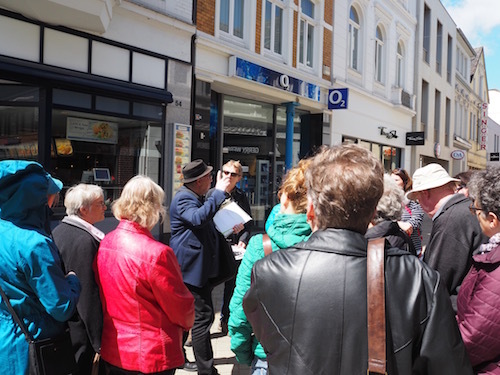 On May 10th we took part in a city centre walk, called Looking for Traces of Jewish Life in Oldenburg, guided by Farschid Ali Zahedi of Werkstadtfilm. 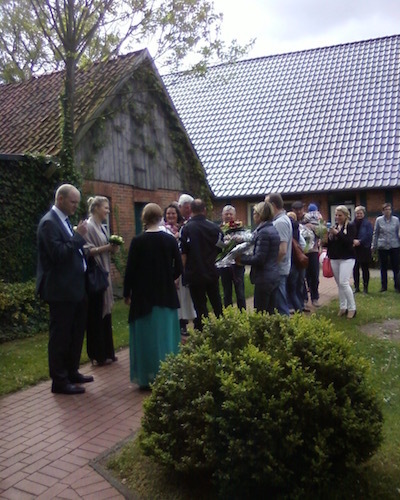 On May 13th a couple in our neighbourhood got married. 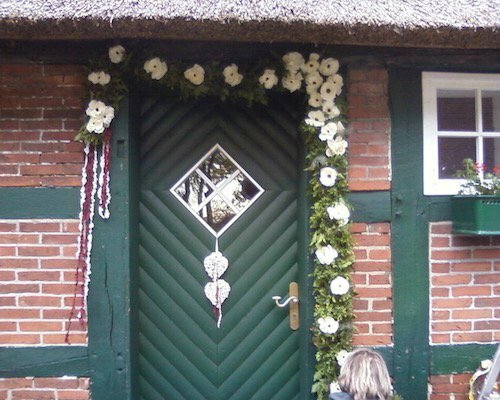 Sylvia (and many more neighbourhood women and even some men) prepared a flower decoration for the couple's front door as a surprise. 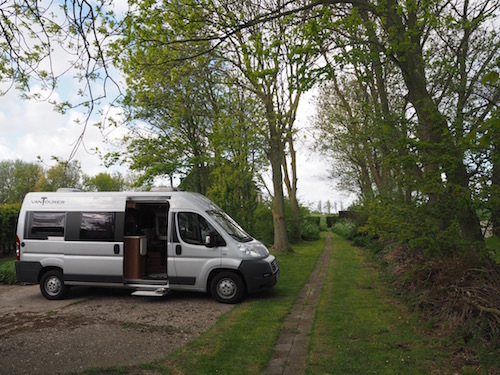 Here "Little One" is parked in the garden of my sister's charming Frisian dike cottage. 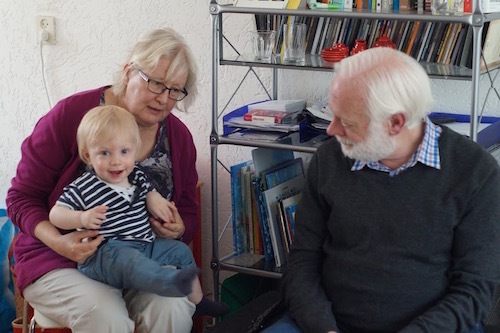 The family had gathered there to celebrate my sister's birthday (and to see the cottage). 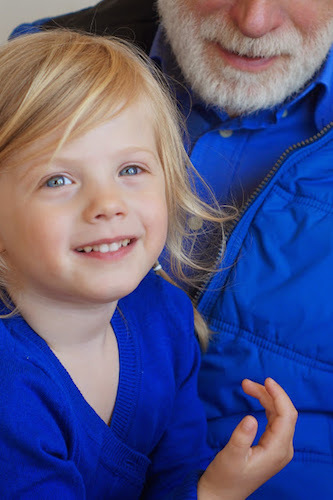 Granddaughter Sara, always cheerful, fingerpainted a beautiful birthday present. 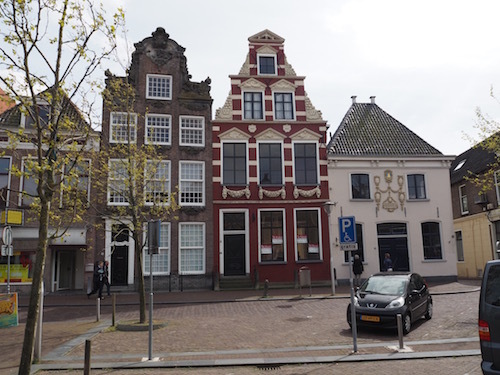 On Sunday afternoon we looked around in the historical city of Franeker. Athough largely abandoned at this time of the week, we got a good impression. 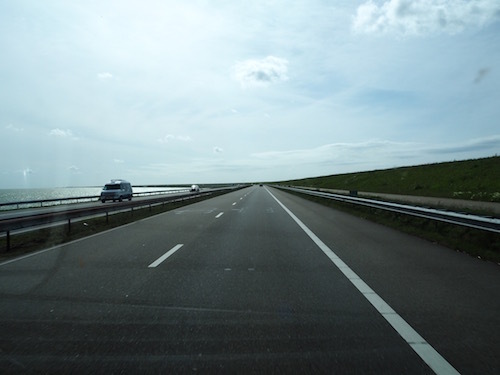 Driving West from Friesland we crossed the former Zuiderzee via the 20 mi long Afsluitdijk (Closure Dike). 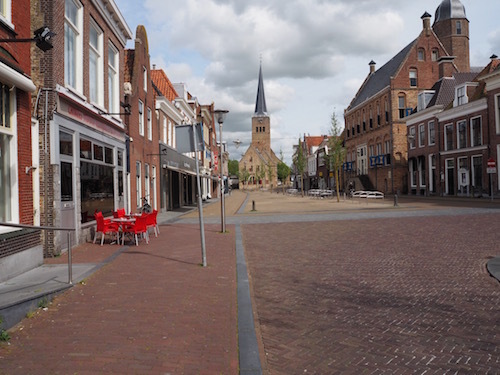 Non-Dutch desolation! 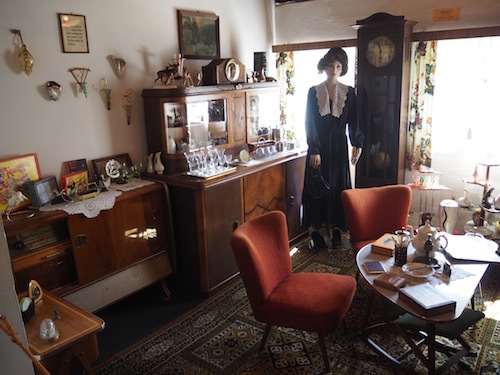 Just like last year: at Pentecost, we visited the Peat and Farmers Museum of Benthullen. 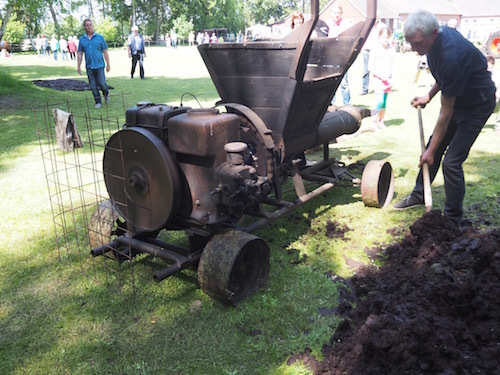 This antique peat press is still working. 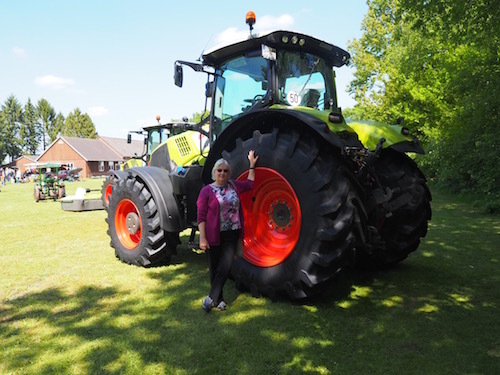 So is this brand new Claas tractor. But that should not surprise us. This is what a living looked like, only some 55 years ago. The weather was nice, i.e. thirsty!